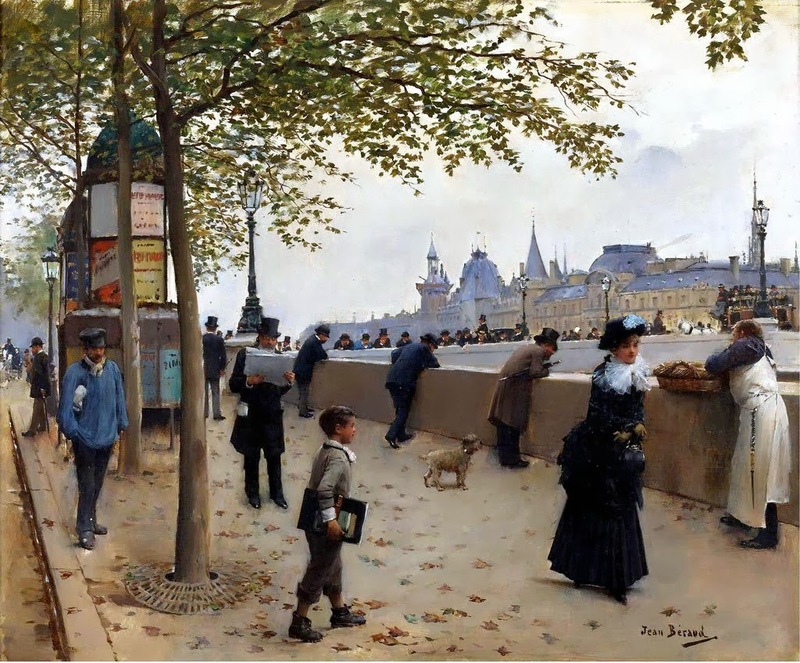 Painting by Jean Beraud. Beraud painted views of life on the streets of Paris of his day, and its interiors, in addition to portraits. The style was realistic, almost to the point of photographic, but the scenes are not entirely realistic in that all of the people shown are well to do and seem to be enjoying their lives.